Publisher’s Description: The death of her friend and mentor, Evelyn Ballinger, brings psychic counselor Gwen Frazier back to the small town of Wilby, Oregon, and brings back memories she would rather forget. Two years earlier, a killer stalked the members of one of Ballinger’s research studies including Gwen. And though she survived while two others didn’t, Gwen knows that Ballinger’s death is related. Review: Dream Eyes is the story of Gwen Frazier and Judson Coppersmith — two talented people with psychic abilities, trying to fit in to an otherwise ordinary world. The two meet through shared friends and odd paranormal situations, but find that these more obvious things aren’t the most important thing that they have in common. Gwen is struggling to put together the slowly unraveling mystery of the recent death of friend and mentor Evelyn Ballinger. Judson is failing to deal with the haunting nightmares that won’t let him move on from one of the most traumatic events of his life. Both of them are alone and afraid not to be because of their own struggles with their powers. Dream Eyes is a story of murder, mystery and turning tragedy into triumph. 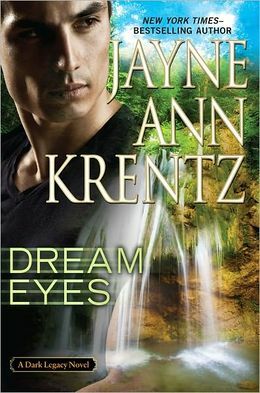 Dream Eyes is book number two in Jayne Ann Krentz’s Dark Legacy series. I didn’t get to read the first book in the series, but I didn’t find that to be a problem here. As with many books in the supernatural fiction genre, the author ties things from the previous book(s) together nicely with the present and adds enough conversation among characters or inner monologue to fill in the gaps for readers like myself who have come in to the series later on. Krentz, to me, is the personality of a writer personified. Her imagery is delicious — perfectly described scenes with just the right amount of detail. Enough to let you paint a perfect picture in your mind, but not so much that you get bored and put down your paint brush. However, the dialogue in her book is stilted. At times, it makes a light conversation between characters seem stiff and uncomfortable. Krentz is great at communicating with the mind, but not with the mouth. This anomaly creates for a rather awkward ending. Krentz makes the final showdown between heroes and anti-heroes a boring and almost uncomfortable scene instead of the action-packed climax and denouement that it should be. Her final scenes are built on a foundation of dialogue and only peppered with imagery for decoration — a structure that works soundly in film and, especially with Krentz’s lack of conversational skills, falls flat in literature. Had she used more of her sound story-telling devices and illustrated a scene of struggle and triumph, this scene could have set hearts racing and created excitement for the next novel in the series. Other than that downfall, the book flowed fairly smoothly. From small-town Wilby, Oregon to the underwater caves of the Carribbean to Gwen’s psychically created foggy dreamscapes, Krentz continued to paint beautiful scenes for exciting events. (There’s also a house cat in the book named Max. Any book that has a cat as a character gets bonus points.) This was also billed as a romance book (not my usual scene) but the romantic scenes were not what I expected — they were short and tasteful and not the focus of the book. So this book is great for people who wouldn’t normally expose them to the romance genre but enjoy supernatural fiction. In addition to the book giveaway we’ve got going on this week (ending Wednesday, so get those entries in! ), Literophilia was lucky enough to get an interview with Kevin Krohn, author of the Severed Ties series. 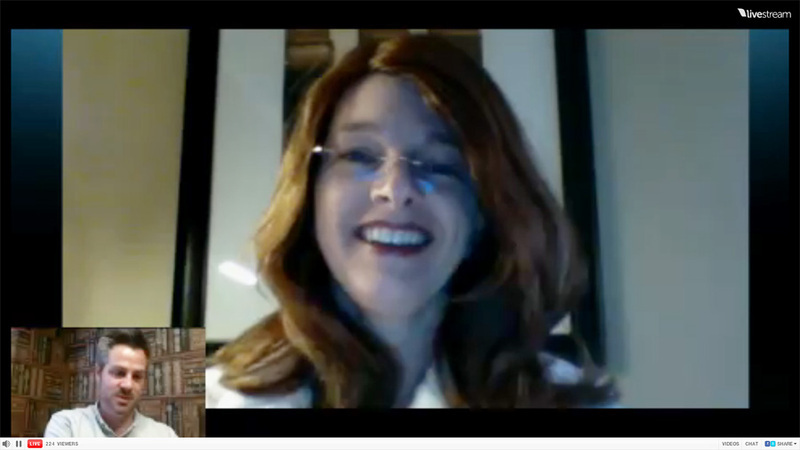 Chloe Parker spoke to Krohn about what’s next for the characters of Severed Ties, what it’s like to be a new author and of course, we found out what authors he likes to read when he’s not filling that role himself. Literophilia: What inspired you to write about murder? Kevin Krohn: I think the first thing that inspired me is the fact that I am a fan of murder mysteries, both books and movies. There needs to be a point in the story where your protagonist faces adversity or a dilemma, and using murder as that device is exciting because of all the different ways a story can unfold from that point. Different characters can react differently, and the chain reaction a jarring event like murder can create makes it something that will continue to be a major part of television, movies, and literature. That’s my generic answer… the real reason is that my dad took me to the drive-in to see Robocop when I was 10 years-old in 1987. I don’t think he realized it was going to be so graphically violent. I was definitely too young, and it definitely warped my brain a little. Furnished by: The author himself! Review: Severed Ties is a series by new author Kevin Krohn that follows Nyne Harper; a cute girl who’s just trying to deal with her overprotective dad, boys and college. As if growing up isn’t hard enough on its own, Nyne’s life has a bit of a twist to it: her father, Lesane, is so overprotective because the Harpers are on the run from a dark past that includes murder, mayhem and mystery. When she was just two years old, Nyne’s mother was murdered in connection with her father’s work at Rytax Pharmecuticals — a corrupt company that will do anything to cover their secrets. From then on, Nyne spent her entire adolescence training to become a stealth killer. And at the age of 20, she decided that it was time to stop running and put her training to the test. The Harpers moved back to their original home in Portland, Oregon to begin a killing spree that would take out an entire family as revenge for what had been done to their own family. But that’s not the end of the craziness. As Nyne takes out the Stanfield family one by one, things begin to change. Nyne starts to find that her life may not be quite what she thought it was. That, perhaps, these murders aren’t justified; that an eye for an eye doesn’t always make things equal; that maybe the word “family” could have a completely different meaning to her. Her dark past becomes even darker, and suddenly Nyne isn’t sure who she is anymore — or if she’ll ever get the chance to find out. Severed Ties is a thrill ride for sure, and I’m ecstatic that it’s a series so that we’ll be able get to know Nyne better in the future. She’s a fantastic character — and honestly, even though my life is quite different than hers, I was able to connect. I love that Krohn lets her attempt to live a normal life filled with mundane college lectures and cute, nerdy boys that provide first dates and first kisses. Somehow, to me, it makes all her mood swings and reactions to killing make a little more sense. Ready to read it? As always, you can click the link at the top of the page to pick it up from Amazon.com. However, if you’re like me and your wallet is a little empty these days, keep checking back to Literophilia: we’ll soon be hosting a giveaway of Volume I! Volume 2 of the series will be released on June 30th. Until then, you can visit Kevin’s MySpace for more details. Publisher’s Description: “Being modern and manly in today’s world isn’t always easy. Review: So I admit, I originally picked up this book on a lark — the publisher’s description makes the book sound like it’s filled with pick-up lines, bar jokes and how to burp the alphabet. I was intrigued at this rare look into the male psyche and figured that, if nothing else, it’d be amusing. What the publisher’s description doesn’t tell you is that Thomas Fink, the author of The Man’s Book, is a theoretical physicist at the Curie Institute/CNRS and the London Institute for Mathematical Sciences, and he wrote this book in his spare time (although, amusingly enough, Fink took his own author photo to be displayed on the back of the book, and it’s a total MySpace picture… and it looks like it was taken in an airplane bathroom mirror). 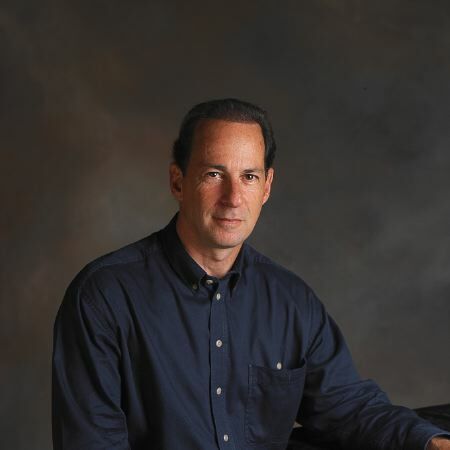 Check out the author’s website and you’ll get an idea of the tone and style of Fink’s writing. Instead of cheesy pick-up lines, I found an entire 13-page chapter devoted to women, including sections on to chivalry (apparently it’s not dead), first date etiquette and marriage. Instead of bar jokes, I found a very sophisticated section on drinking that explained nearly every type of wine, beer, spirit or liqueur and its application with or without food. And instead of teaching the reader how to burp the alphabet, Fink has included an entire section on urinal etiquette and, to make sure the rules hit home, a 67-question quiz on where to stand at the urinal to ensure optimal privacy. Some of my favorite sections include: “Underwear,” where the eternal question of boxers versus briefs is looked at scientifically to find out whom the ultimate victor shall be; a section explaining how to properly brew coffee, which includes a chart showing the caffeine content of popular beverages (did you know that Coca-Cola has the least caffeine content of the major pop brands, including its no-calorie counterpart, Diet Coke? ); a page full of men’s superlatives (including Best Advice: “Never apologize,” and Best Beer: Westvleteren 12); and even a list of the 50 most essential books for men. Overall, this book was just really cool. I learned a lot — not necessarily about men, but just random little facts. And I love learning random things. What really struck me about the book, though, was how sincere and sound most of the advice was. It kind of struck me as a book you’d give to a young man who is just coming of age and will need to know these things growing up (Bar Mitzvah gift, anyone? ), or to a boy who’s going to college. But really, it’s just a fun book for any man (or woman) to read. Maybe you’ll pick up some new trivia to show off next time you’re at the bar, who knows? Welcome to another ARC Roundup! It’s a little late this time, but there are a ton of books available, so it all balances out. For those unfamiliar with our weekly roundup, an “ARC” (sometimes known as an ARE) is an Advanced Reading Copy (or Edition, respectively). What does this all mean to you? FREE BOOKS! Read on to find out what’s available straight from the publisher this week. Publisher: Dorchester Publishing Co. Inc.
Publisher’s Description: “Seriously. Why does a new hair dryer have a twelve-page how-to manual, but when it comes to ancient demon-fighting hocus-pocus, my biker witch granny gives me just half a dozen switch stars and a rah-rah speech? Oh, and a talking terrier, but that’s another story. It’s not like my job as a preschool teacher prepared me for this kind of thing. The follow-up to Angie Fox’s first book in the demon slayer series, The Accidental Demon Slayer , The Dangerous Book For Demon Slayers is narrated by the accidental demon slayer herself, Lizzie Brown. As an ex-preschool teacher, Lizzie is a complete outsider to the world of rule-breaking (so much so, she claims, that she’s never even received a speeding ticket). But on her 30th birthday, she suddenly became part of a supernatural world that was previously unknown to her and includes a biker gang of witches, shape-shifting griffins, grouchy fairies, gargoyles, succubi and a whole hell of a lot more. To make matters worse, she’s not only expected to be a part of this world — she’s expected to take on the role of the extremely rare demon slayer, saving the world from things you haven’t even seen in your worst nightmares. In this book we get to know the magical world right along with Lizzie and her loyal Jack Russell terrier, Pirate (whom she is now able to hear “speak,” which I adore). As loyal readers of Literophilia found out in one of my previous posts (Chloe Parker’s Library), I have a sweet spot for the supernatural thriller/romance genre. This series will definitely find a home next to my Laurell K. Hamilton books. It satisfies my craving for a quick, exciting read (I flew through the book in two days) and allows the reader to get to know tons of unique, interesting creatures while still throwing in a bit of romance along the way (the quick, fiery, passionate kind — not the kind that makes you gag from its sappiness). I also like that, similar to Hamiton’s vampire hunter, Anita Blake, Lizzie has to deal with learning about herself along the way. While it’s wonderful to lose oneself in a good supernatural thriller, I think that when the author gives her characters a wealth of human flaws, it gives the book that little something extra to make her reader truly connect with the story. Check out last week’s post, too!